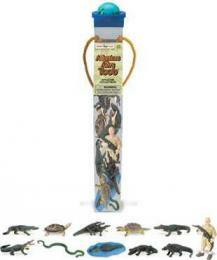 Alligator Toy Mini Good Luck Miniatures 1" at Animal World®. 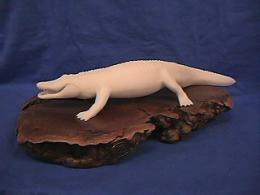 Alligator Toy Mini Good Luck Miniatures 1" long is plastic toy animal play fun at Anwo.com Animal World®. 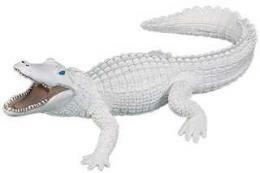 Sold individually ** Choking Hazard - Not suitable for children under 3 years of age **Made of safe, durable detailed plastic this Alligator Toy is perfect for play, education, school projects and measures 1"L x 1/2"H x 1/2"W. Shop our Alligator Gift Collectibles at Animal World® page for all our Alligator lover gift ideas.